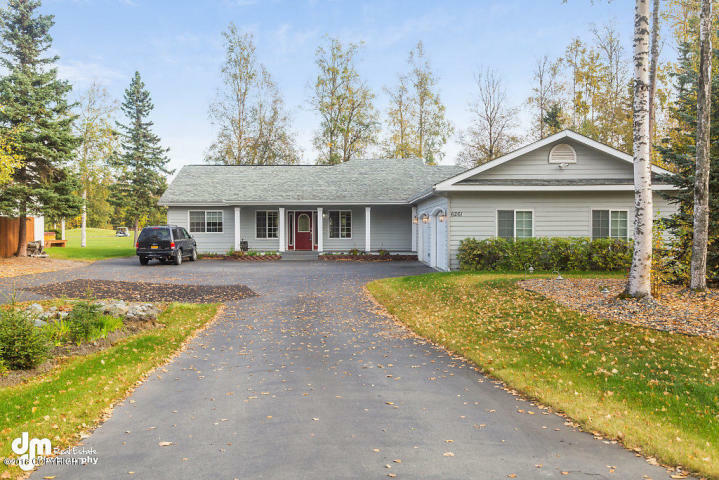 The Kristan Cole Team, member of The Kristan Cole Real Estate Network Just Listed a new Single-family home at 6261 S Roosevelt Drive in Wasilla Alaska. Imagine relaxing on your enormous 3 tiered entertaining/party deck looking out at 17th & 10th fairway of Settlers Bay Golf Course. Beautiful ranch style home features an open floor plan, 1128 sq ft garage, large kitchen with island & granite counter tops, large master suite with access to deck, impressive master bath & W/I closet with organizers. Paved circular driveway & beautiful landscaping.